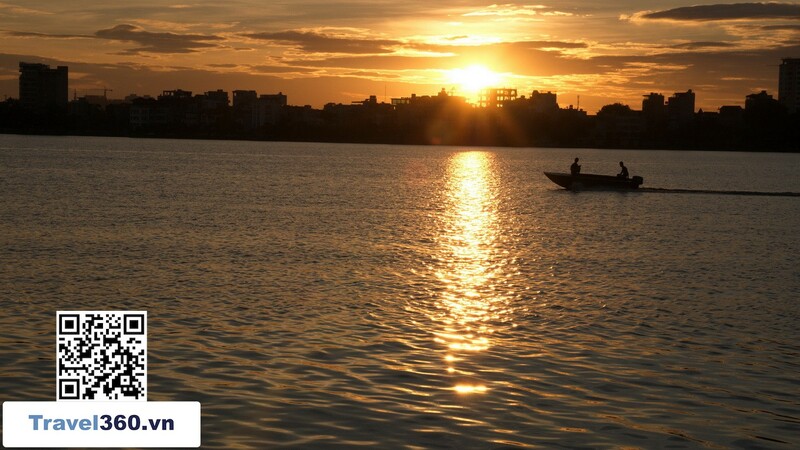 Hanoi is always an attractive destination for all visitors, especially in the summer. Hanoi has so many points that everyone must come to life once, and Nhat Tan flower garden is one of them. 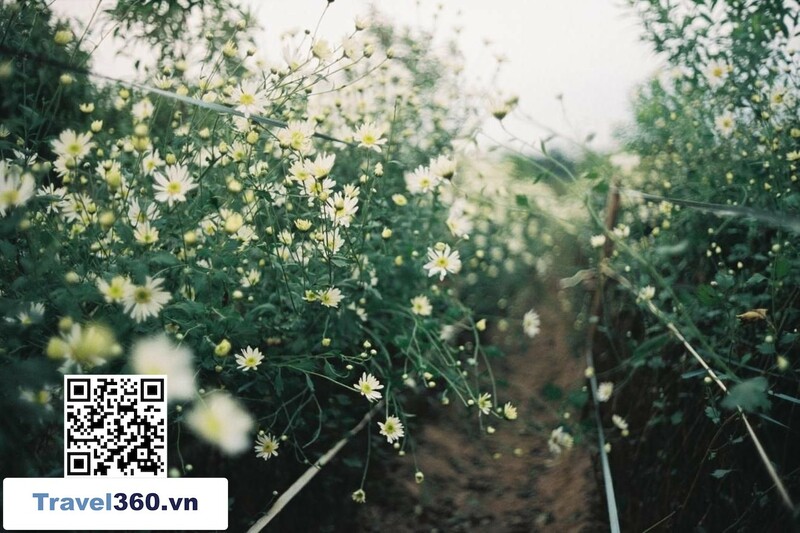 Nhat Tan flower garden - the most beautiful natural area in Hanoi, which is the beautiful words that visitors to this land. Come here, you will be immersed in the valley of flowers with flower tram, racing beauty. Not long ago, the Valley of flowers West Lake or the triangle flower garden name plateau Dong Van has been doing rain to attract many tourists. Currently, Nhat Tan flower garden is also a place like this, especially on every occasion spring to spring, or the summer scene beautiful. The flowers boasted in the sunshine tomorrow, looks brilliant but also poetic. What is Nhat Tan Flower Garden? 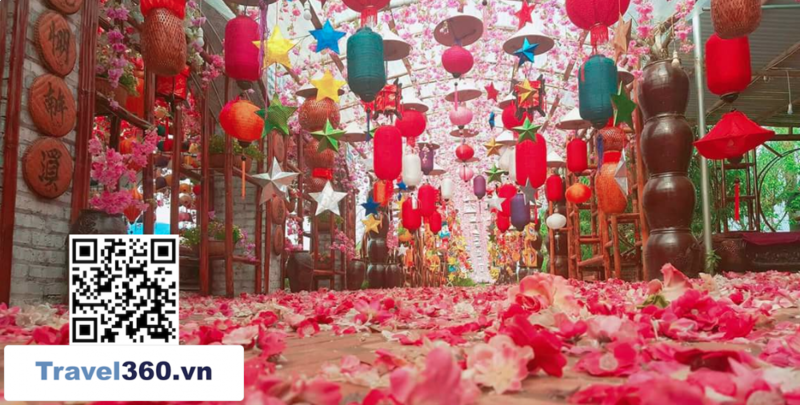 Located at the foot of the Long Bien bridge, Nhat Tan flower village is a popular destination for photographers. 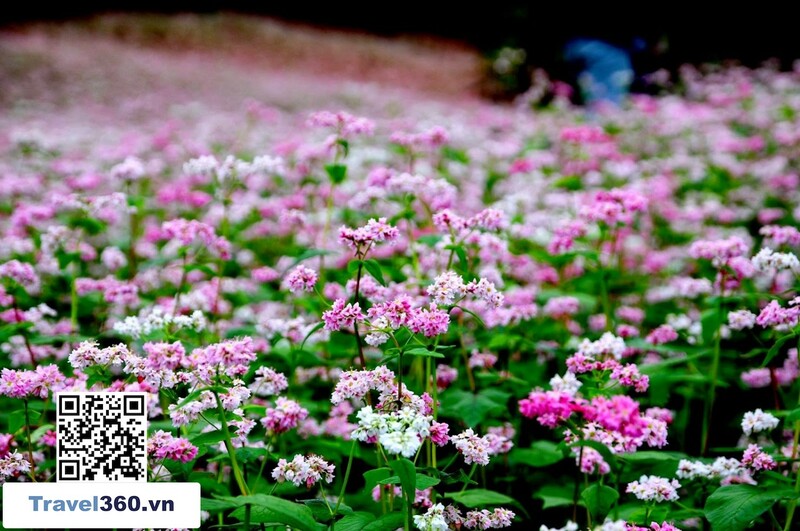 Nhat Tan flower garden has three places to enjoy such as rocky beach, and two flower gardens for service. For any visitor to this place certainly can not leave the flower garden. 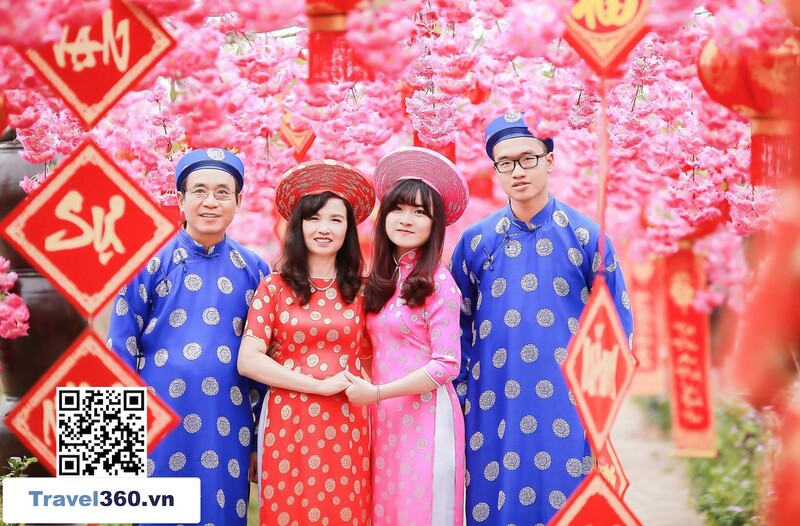 In particular, Phuong Linh flower garden is the most favorite visitors. Phuong Linh flower garden is a thousand square meters, with dozens, even dozens of different kinds of flowers to show off each other. Not only that, with the cottage decoration creates romantic space, the garden becomes more beautiful, more brilliant and attractive. Flower beds, chrysanthemums, chrysanthemums, ... show off each other in bright sunshine. Interspersed with the blue of the sky, a harmonious landscape of land, sky, grass and flowers bring to another feeling disturbed and relaxed strange. Regardless of whether you come to the garden of flowers in Nhat Tan, there will also be flowers blooming bright pink welcome you. 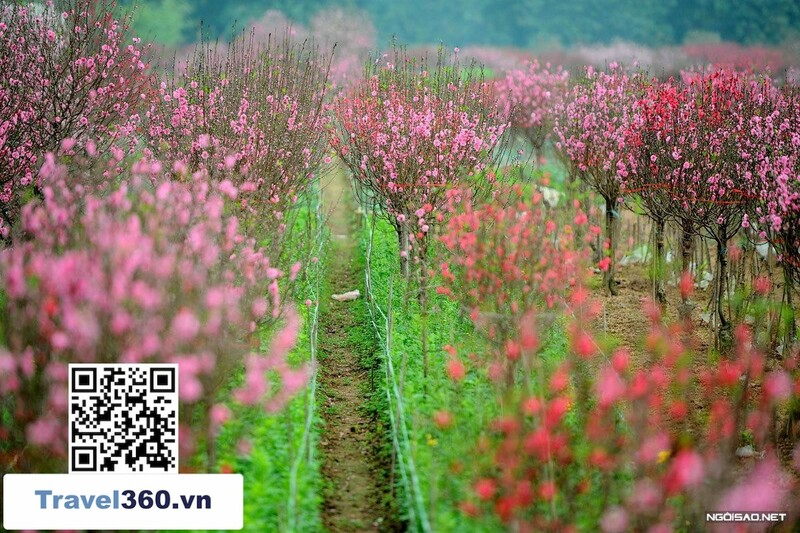 Each season there are different kinds of flowers such as peach blossom in the Tet holiday, chrysanthemum in the spring, roses, yellow butterflies blooming all year round, etc. Each tree of different colors creates a beautiful color. .
What are you playing at Nhat Tan Garden? With such a beautiful natural scene, it is a waste if you do not come to enjoy and take photos as souvenirs. Let's go with friends and relatives to be able to enjoy, just keep the photos check-in and keep memories together. There are quite a lot of backgrounds for those who are passionate about photography and for those who love photography. Flowers, bridges across the lake, swings, rock chairs, .... will be the best background for you. Not only attract young people, flower garden is also an ideal destination for couples. At the end of the year, it will not be strange to see couples coming here for wedding photography. Under such a beautiful, romantic atmosphere, they will surely be happy completely. What do you wear to Japan? How about photography? In order to prepare for a day out, drop by the colorful flowers, you can choose the clothes you like. Any dress is suitable for this place, you only need to show personality and not dress too. For example, with a gentle girl again, can wear light dresses gently. Since the garden is full of color then you just need to wear a delicate dress, gentle, not too prominent. Or, if you are a true fairy, you can choose lace dresses, stylish dresses. Just a few combinations, you will have pictures shimmer the flowers. Or maybe you are a personality, you love to work, you just wear jeans, trousers combined with shirt or T-shirt and sports shoes will also stand out. Along with the choice of clothing, you should also incorporate makeup. Depending on the personality of each person that you choose to make a bold or light makeup, but it is important to match the dress you wear. As I think, a light makeup will suit everyone. Here you will most hope to be photographed beautiful, shimmering but do not know how to shoot. Do not worry too much, you can have many choices. If you do not have a camera, just use your smartphone, using the 360 ​​camera application, all the frames will become sparkling. Or if you have a camera, then good luck, you just have to pocket a few ways to take beautiful photos that could have dozens of photos like. Another option for you is that you can ask the people you have a camera to shoot with. Or if there is no one to ask, then the photo rental service is very popular, you just go online search is it for you both lists, and now your work is only the person who will go with you, makeup Dress pretty to "on the road" only. Just spend a few hours and spend a small amount of money just to have the same shimmer image taken at the studio under the hands of photographers. Entrance fees vary from season to season, but usually range from 50,000 - 80,000 VND / person. With the airy space and beautiful colors with different kinds of flowers, this will definitely be the ideal destination for everyone. And I believe, there will be no one tens of thousands to be able to be immersed in this poetic space. In addition to shooting fun, you can also choose the bouquet of flowers for sale at the garden gate. Chrysanthemum flowers sell at the garden gate only at the price of 20,000 - 30,000. How to get to Nhat Tan Garden? There are many ways to get to Nhat Tan gardens such as self-sufficiency, public transport. Depending on the desire of each person that select different vehicles for the most convenient. The most popular public transport is the bus. At Nhat Tan Garden, you can catch bus 55, 58 or 31 and get off at Nhat Tan junction. Then you will have to walk a short distance. Just go straight from the bus stop point to arrive. Or you can go the other way is to follow Au Co street, turn to Lane 264 and continue straight to the peach garden, the garden will come. Or you want to be more active, the most convenient means of motorcycles. You just follow the guide on, a circuit to the flower garden always. The price of motorbike is 10,000 VND / unit / day. It would be most convenient if you went to a family or a family with little children, the taxi is the best option. Or if you travel a few people, you can choose the vehicle is motorbike taxi. Depending on the length of the road to that long or short money will be different. 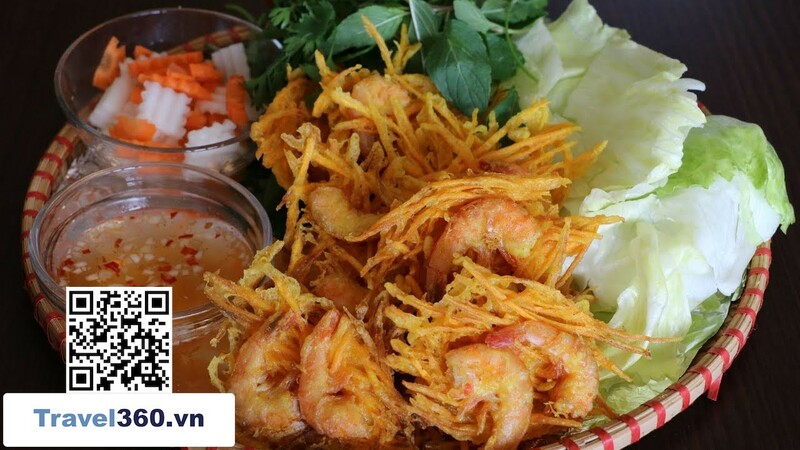 What to eat Nhat Tan flower garden? It is hard to find good food around this area. However, do not worry, because recently there is a relatively famous restaurant, it is rock cafe. 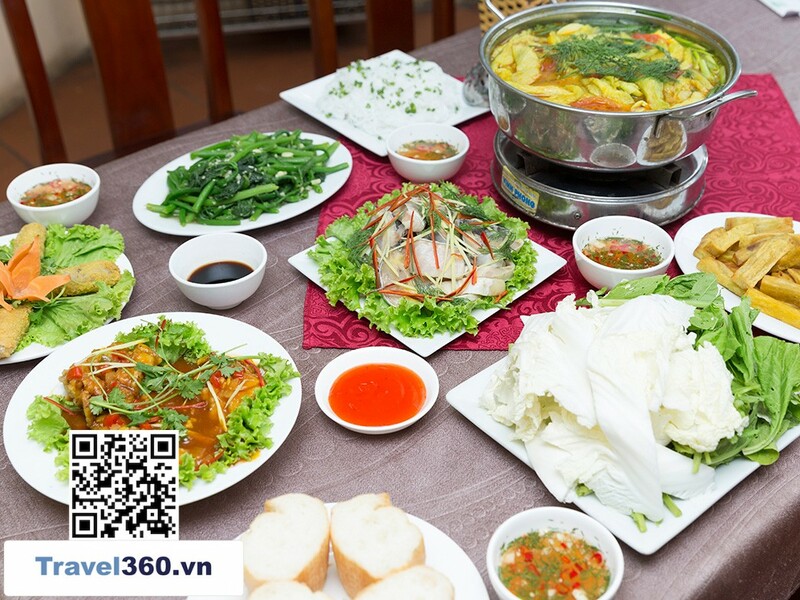 With special dishes like chicken, Dong Tao chicken, goose, heavenly duck, carp ... Each dish has its own flavor, creating a very own restaurant. After playing at the flower garden in Nhat Tan, West Lake is not far away and you can completely turn to West Lake or enjoy the West Lake ice cream. The West Lake Cream is very cheap, you even have to pay $ 7.000 that was able to enjoy a cream just cool cream. This is probably the favorite dish of the students. What better way to play, get eaten, check-in with shimmering pictures. Nhat Tan Flower Garden is not a destination any more interesting, and certainly will attract more and more visitors. Have a great day out!